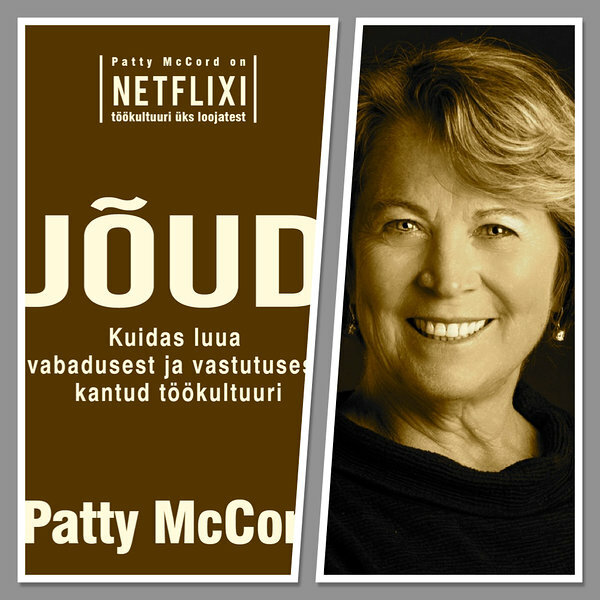 On this episode of “Leadership is a Competitive Advantage” I have the former chief talent officer at Netflix – Patty McCord – on the line to talk about her book “Powerful: Building a Culture of Freedom and Responsibility.” (The book is shortly going to be published in Estonian – “Jõud: kuidas luua vabadusest ja vastutusest kantud töökultuuri” – as well.) During her 14-year tenure at Netflix, Patty found that people are far more engaged and productive when trusted and treated as responsible adults. As the “COO of Culture” at Netflix (this is how she actually calls herself), Patty was the driving force behind the company’s famous “culture deck” that outlines an operating principle based on high-performing employees who behave and reason like responsible adults. Tune in to find out how to create a culture of high performance in an organization. And – for those of you interested in getting more of Patty – I am really glad that Patty will join us at the Estonian Human Resource Management Association's annual conference this spring as one of the keynote speakers. # The reason why I wrote the book was to say that it does not have to be the way it has always been. I wanted to give people permission to experiment with the way we work and not assume that the way we have always done it is the best way to do it just because we have got use to it – and then we call it ‘best practices’. Probably on top of the list of the words I hate in HR jargon is ‘empowerment’. It assumes that you can give people power. And I tease HR people and I say ‘really, seriously, who gave you the magic wand’? If I stop and think about it then the reason we have to go around empowering people now is because we took it all away. Why is it that we think that IQ diminishes from the executive suite to the rank-and-file people that work for you? You know, people actually walk in the door with power every day. No matter what work you do, you walk in the door as an adult and you have responsibilities like everybody else and I believe in my bones that everyone wants to go home at the end of the day and tell their roommate, partner or pet it was a great day at work today! We did this! Everybody wants to accomplish great things, that is what motivates people. If we start with the premise that everyone walking in from the door has power and is an adult who can reason, and we insist that they act like an adult with power who can reason, then the world changes a lot. Everything changes. Otherwise what happens is that we take these fully formed adults and we surround them with all these rules, guidelines and permissions that treat them like children and then we are surprised when they act like that. We need to give them back the power they already have. We need to stop taking it away at every turn. PS! You can learn more about Patty and her work on her website.